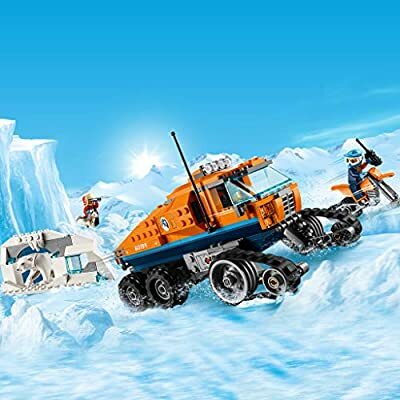 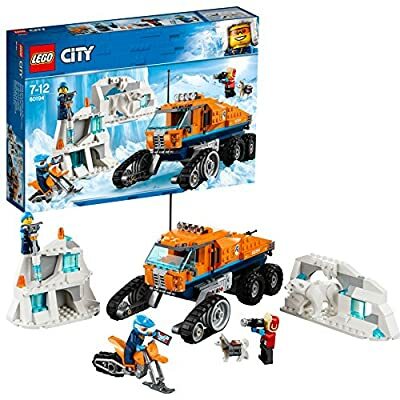 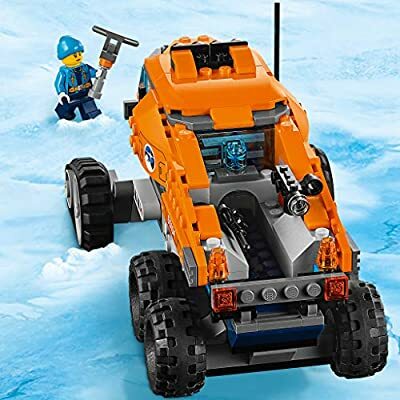 Explore the harsh terrain with the LEGO City 60194 Arctic Scout Truck, with front tracks and 4 all-terrain wheels, antenna, lights, on-board analysis station, space for other equipment and a loading bay for the snow bike with moving track. 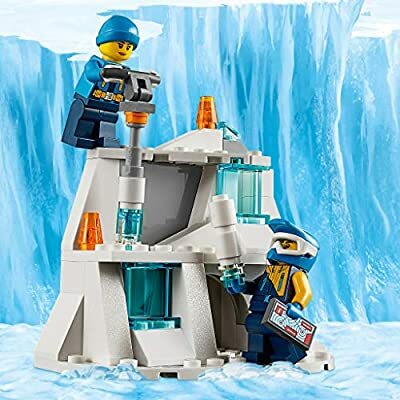 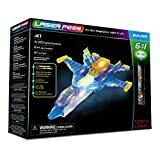 This fun set also includes an ice wall/arch with translucent blocks and sonar beacons, coring tool, plus an ice cave with translucent blocks and room for the polar bear figure. 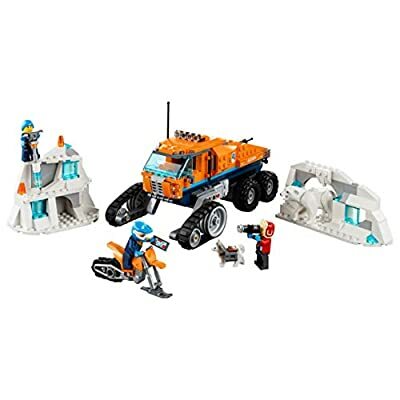 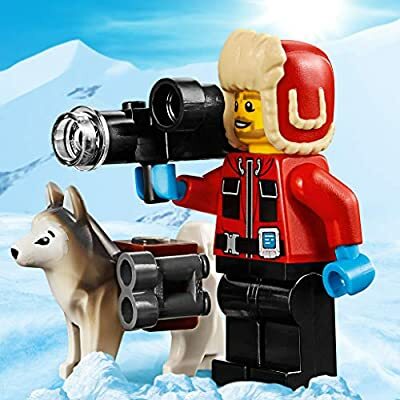 This LEGO City Arctic Expedition set also includes 3 LEGO explorer minifigures and a dog figure.